This week Fox News uncovered a secret plot by the president to assassinate Santa Claus , and then nuke the North Pole to cover it up. This is just one of many scandals that have plagued the White House since Obama took office six years ago. Fox did not reveal its source for fear it would be ridiculed and harassed by the communist , liberal press , and be accused of making it up. The Liberal press has a long history of accusing Fox and other conservative news outlets of distorting the truth , which is , of course , pure nonsense. But they confirmed that the report is indeed genuine and there is absolutely no reason to doubt its authenticity. When Sarah Palin heard of the plot , she vowed not to let the communist , liberal , atheists destroy Christmas , and urged her constituents to join her in letting the White House , and Obama know that they would not get away with it without a fight. The following is her statement to the press. “How sick and depraved do you have to be to do something like this? Pretty damn sick , in my opinion! This president will stop at nothing to destroy America and the constitution of the United States! First the commie liberals cry about people saying Merry Christmas , and now they’re going for an all out assault not only on Christianity , and the constitution , but Christmas as well! Rush Limbaugh was apparently moved to tears by Palin’s speech. 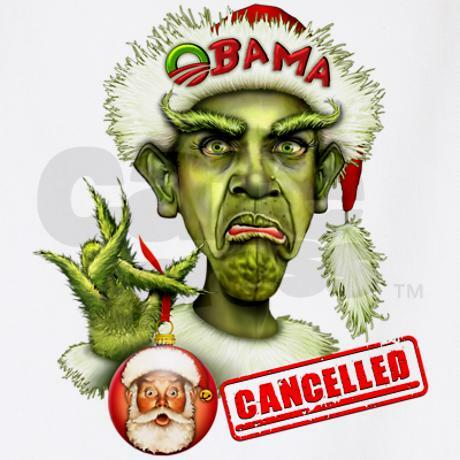 The following day , on his syndicated radio program , Mr. Limbaugh valiantly offered ( after a long tirade against Obama , in which he called him every name possible , and rightly so ) to be the next Santa Claus , so that all the good conservative boys and girls would not have to suffer because of the president and his selfish , evil plot. Mr. Limbaugh also vowed to join the march on the White House , and urged his listeners to do the same. With patriotic Americans like Palin , Limbaugh , and their legions of followers , the plot to murder Santa may back fire on the president and his evil minions , now that it is public knowledge. Let us pray to God that it will.